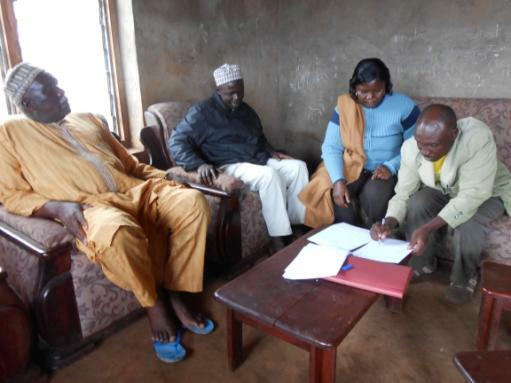 This has been exciting year for the Mbokop Water & Health Project! This time last year we had just returned from the second assessment trip and the water and health teams were beginning to sort through all of the data that had been collected. Today we have complete designs for the gravity-fed Mangi water system. The designs were drafted and reviewed over the course of the spring and summer. The implementation plans were presented to EWB’s Technical Advisory Committee (TAC) in September and we received final technical approval in December. Just after receiving final technical approval, the team received approval to travel for the first implementation trip in January. The trip will include four EWB-DC team members and partner organizations. We are exceptionally proud of the partnerships that have been enhanced over the past year. We’ve worked closely with Colesville Presbyterian Church (CPC) on fundraising activities and CPC members have provided technical reviews of the designs and led the efforts for two construction trainings. SIRDEP, one of our Cameroonian partner organizations, traveled to Mbokop three times over the past year! They were instrumental in leading community meetings and working with the community to sign the land rights agreement, partnership agreement, and implementation agreement. These agreements will be critical for the sustainability of the Mangi water system. In December, on their most recent trip to Mbokop, SIRDEP was able to confirm that the community has raised more than the required amount of funds for the first implementation trip! When the first implementation team arrives in Mbokop on January 20th, the team will be joined by SIRDEP, HEDECS, and Peace Corps volunteers. This is in addition to the local skilled laborers, including a local construction manager. This will be our most collaborative trip yet! In addition to the technical accomplishments, we’ve had a successful year with our fundraising efforts. In the spring, we received the Nickolas B. Pippin Memorial grant award, which was followed by grants from CH2M Hill and Johnson & Johnson this fall. Overall we received more than $15,000 in grants in 2014. We’ve also hosted a variety of fundraising events in DC and through our online fundraising page we reached our year-end fundraising goal. The first goal for 2015 is already posted! 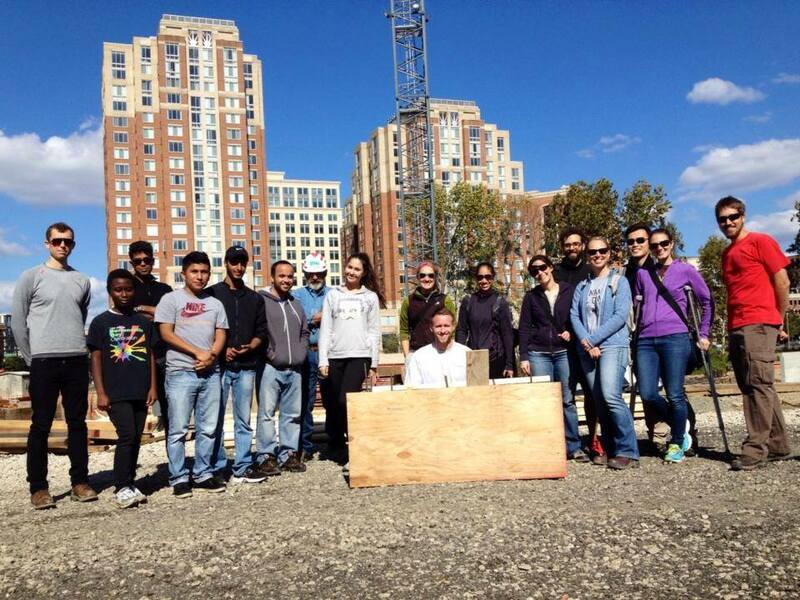 In addition to these programmatic milestones, we’ve led two construction trainings that were attended by individuals from local chapters, including the GW and Montgomery College Student Chapters, where participants learned to assemble pipeline, build a spring box, and cut rebar. The project also had a presence at EWB-USA conferences. Team members attended the EWB Professionals Workshop in Pittsburgh and assisted in planning the EWB-USA National Conference. Team members presented during multiple sessions at the National Conference in November. This year hasn’t been without challenges and we are looking forward to learning from the lessons of the past year. 2014 has been an exciting and successful year for the project and we’re looking forward to 2015! Happy New Year!